Stitched black leather seat on tubular steel frame, impressed Fasem in the leather, ht. 29, wd. 36, dp. 31 in. 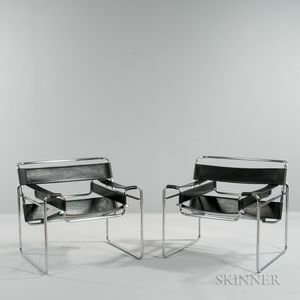 Note: The Wassily chair was designed by Bauhaus architect Marcel Breuer in 1925/26. Wassily Kandinsky had admired the design and Breuer made one for Kandinsky's personal quarters. 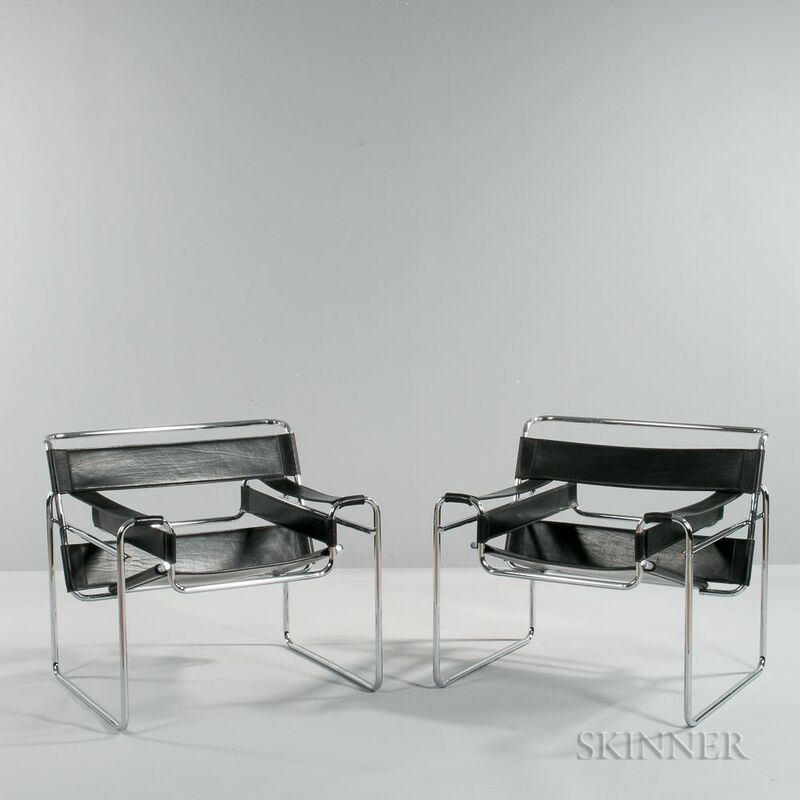 It is said that the handlebar of Breuer's "Adler" bicycle inspired his use of steel tubing to build the chair.